Which Zelda game should get a 3DS remake? Ha ha, just kidding. Making new games is hard. Instead, the next 3DS Zelda game is going to be a remake. 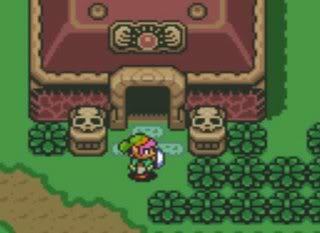 Nintendo just needs to decide which game to remake: Majora’s Mask (N64) or Link to the Past (SNES). Remember Legend of Zelda: Ocarina of Time 3D? It was the best Zelda remake ever. First of all, it had no new material whatsoever. Second of all, it was not made by Nintendo. Third, its main selling point was being in 3D. If that is not a recipe for success, I don’t know what is. Well, Nintendo can easily repeat that success story with Majora’s Mask. Just pay someone else to update the graphics again, and you’re golden! That’s an easy $50 million in the bank. Link to the Past is a 2D game, and that is exactly the kind of game the 3DS needs. Nobody ever uses the 3D effect for more than five minutes, because deep down, they wish they were playing a 2D game. Link to the Past would fill that two-dimensional void in people’s hearts. Plus, that’s the game where Link has pink hair. Everyone wants to see more of pink-haired Link. Mr. Zelda himself, Shigeru Miyamoto, says that he hasn’t decided which game to remake yet. He’s leaning toward Link to the Past, but that would take longer to produce. Also, he’d probably get bored with the project halfway through, then start a completely new game, using the same engine. You know, sort of like how they almost finished Skyward Sword, but then they decided to completely redo the game from the beginning again, so it could use the Wii Motion Plus. Here is my verdict, which is sure to please everyone: Remake both games. It’s simple! Hand off the Majora’s Mask remake to the company that did the Ocarina of Time remake. They can easily finish that by 2013. In the meantime, start working on the Link to the Past remake. Since it will “take longer to produce,” they can aim for a broad release date of 2014. That’d give us Zelda games in back-to-back years, or at least something close to that. That WAS going to be the video on this news post, but for some reason, it didn’t work. So everyone got the dancing video instead. I don’t see how anyone could object to that. OBJECTION! There is a reason why OOT3D had nothing new. It’s because it was a remake for a more modern audience. This game is so cherished it’s like the Wizard of Oz for video games. They didn’t want to change much in it because of that, so they instead remodeled it for today’s audiences so Nintendo can introduce them to the much beloved game. And if they changed it too much, then they would lose part of their old audience. Sure they could have made it look like Twilight Princess, but they didn’t because they wanted to show the way they originally wanted OOT to look. The designs of the remake are taken directly from the original concept art of the game and to tell the truth, it’s a great remake. I disagree. I think they didn’t change anything, because that meant they could get the game released faster. The Gamecube re-release had more new material than this re-release did. I was hoping for a re-release like Super Mario 64 DS, with a lot of new material that would answer all the burning questions I have about the game. I would have settled for a re-release like Link’s Awakening DX (with a new dungeon) or Link to the Past (GBA), with the brand new Four Swords attached. Instead, it was a re-release with nothing new. Ugh. That’s because it’s a remake (not to be confused with a re-release which are to different things). By definition a remake is supposed to be just like the original, but is changed a little bit so it can expand to a new audience. For example sheik-ah stones. Modern gamers aren’t as smart as gamers in the 80’s and 90’s, that’s where the sheik-ah stones come in. The Zelda games are supposed to make the player think, and are filled with tons of unanswered questions. And because of this, gamers have grown to care about the land of Hyrule and all of the memorable characters, and thus keep buying the games so there questions can be answered, but also earn new ones. For example, in your video walkthrough for Majora’s Mask you heard Saria’s song at the end of the game, and got excited for the next game because you thought Saria was going to be in it. So what did you do? You bought Wind Waker! And that’s the great thing about Zelda. Nintendo didn’t want to add anything new to the 3DS remake for this very reason. They wanted to expand to a modern audience, but still keep the same amount charm and wonder the original version had, so the new audience will care about the fictional world and anticipate the next game. The Mario 64 was made to do the same for its own series, but it was also made to show off the full power of the DS. The GameCube versions are re-releases that contain small updates from the original. Just like when Capcom kept re-releasing Street Fighter 2 for the SNES, Sega Genesis/CD/32X, 3DO, and TurboGrafix 16. Just how Super Mario 64 DS wasn’t that much different from the original either. For a remake, it stayed truthful, and didn’t add extra levels, characters or stars. Actually, it did add extra levels, characters, and stars. But this was made because nintendo wanted to show off what the DS could do, but they made sure that it wasn’t changed enough that it wasn’t true to the original anymore, and fans will still love it. I think they need to have ocarina of time and majora’s mask on the Wii so I can actually play them again. But anyway, in relevance to the article, they should do what they did the first time. Take Majora’s Mask and make that their new game for 3DS. If it worked well the first time, then do it again. I’ve never played Link to the Past, so I can’t make much of a comment. I do agree with the response though that both should be made if they’re liked so much. Majora’s Mask and Ocarina of Time are on the Wii, but on the Virtual Console. I played Link to the Past but never completed it, it is tough as nails like the first two Zelda games. 🙂 they probably will remake Majora’s Mask on 3DS, people do want it. I’m not adverse to it, but after seeing that fake trailer, it’s a shame it won’t be on the Wii U! That explains why I didn’t know they were available for Wii 🙁 And that is kind of sad. I kind of get why they WOULDN’T want to add any new stuff to the game (besides the additional development costs). Gamers are fickle, especially regarding games as beloved as this. With each new addition, for each fan that goes “that’s so cool!”, you’re bound to have at least one other fan MAJORLY pissed that they’re daring to desecrate the holiest of videogames. Now what did I just say? There were a lot of words up there; I’m honestly not sure. Even a pirate wouldn't want to steal this game.